Gorkhapatra Sansthan has published a notice regarding the examination schedule and centers for the open written examination that is going to be conducted for various positions. The examination is going to be conducted by Lok Sewa Aayog (Public Service Commission) in order to fulfill the vacancy of various posts which was published on Jestha 25, 2075. 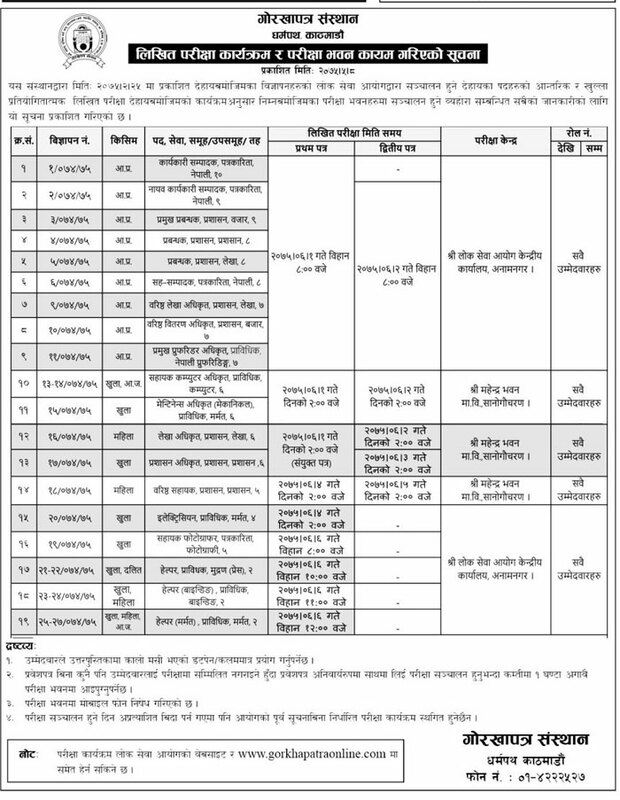 Interested candidates are requested to contact Staff Administration Department from Bhadra 11, 2075 for admit card.